The fake WhatsApp+ app is reportedly a variant of Android/PUP.Riskware.Wtaspin.GB, which is a WhatsApp riskware that can potentially steal a user’s private data. As per a Malwarebytes Labs report, a new fake WhatsApp is being circulated on the internet which puts a user’s personal data at risk. 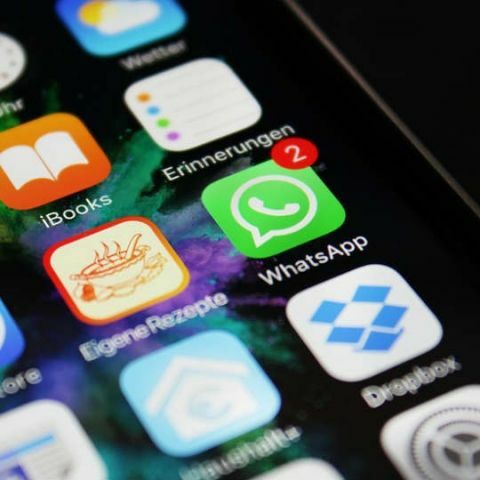 Fortunately, the malicious WhatsApp Plus app is not listed on either Apple or Google app stores as Apple’s guidelines are quite stringent and Google is also active in removing lookalikes of the app from its Play Store. The links for this fake version of WhatsApp is being posted as comments on blogs and forums online and it is said to be a variant of Android/PUP.Riskware.Wtaspin.GB, which is a WhatsApp riskware dating back to mid-2017. The researcher who published the findings states, “I am not certain exactly what this does, but from the sandbox reports it looks like it has the potential to steal information, photos, phone numbers etc from your mobile phone.” This means that the app can get access to a user’s personal info and upload it to their own server. As per the report, installing and booting the malware displays a greeting message with a Golden WhatsApp+ logo and a URL link, tapping on which prompts a user to update their app as it’s outdated, via the Google Play Store. There is also a download button just below, and as it’s more convenient to simply download it directly from there, it’s most likely that one will use it for updating the app. Tapping on the download button redirects one to a webpage in Arabic, where the app can finally be downloaded. The report further explains that the app allows users to run four WhatsApp accounts on a single device, hide typing a message, received and read texts double and blue ticks and more. Even if the fake app provides extended functionality to users, it is still a malicious app and one is advised to uninstall it and download the original WhatsApp from the Play Store. WhatsApp is one of the most popular online messaging app, the no.1 communications app on the Google Play Store and it’s also the top social networking app on App Store, to be precise. It is no surprise that there would be developers who try to bank on someone else’s success and create a modded version of the app, or a fake one altogether, for stealing user data in the process. Speaking of malicious activities on WhatsApp, a new app called 'Chatwatch' has come into light, which can track a user’s activity on WhatsApp. It can inform one, when people on their contacts list come online and also estimates when a person is asleep, by their durations of activity on WhatsApp and general usage patterns. You can read more about it here.